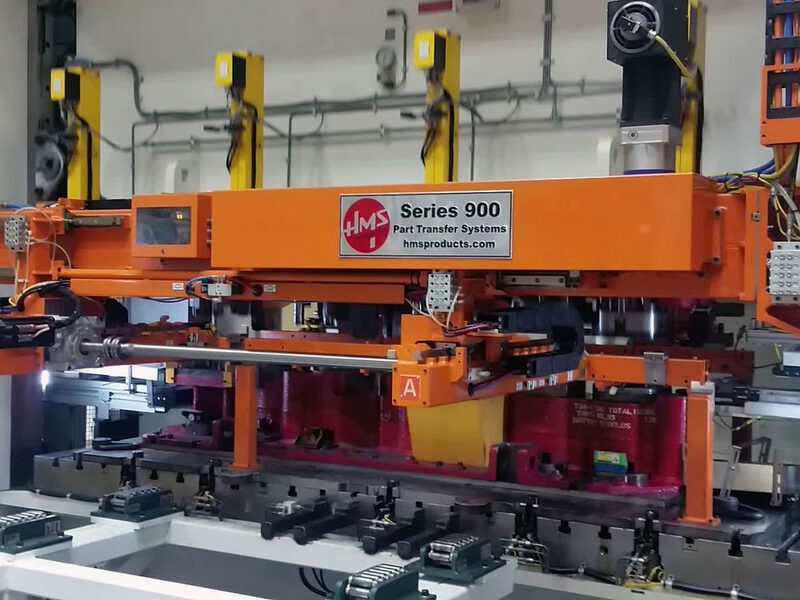 Full Servo Series 900 & 900 HD | HMS Products Co.
With our Full Servo Series 900, and Series 900 HD Front and Rear Mounted Transfer Systems, the press entrance and exit windows are completely clear of the part transfer equipment. This system can offer up to 8 feet of Standard Lift (Z Axis) travel to accommodate Pass Line Adjustment, Working Lift, and Elevation for Die Change Access with a Lift Truck with the same module. The Series 900 and Series 900 HD are designed to access a Parts Database that establishes optimized recipes for each part running through the system.